well, my week off work is finished, and so ends my dedicated week of making. if you follow me on instagram (my username is rach_wain, here’s a link, follow me if you would like to!) you might have seen my post about trying to make one thing a day while i’ve been off… well. i can’t stay that i stuck to it! 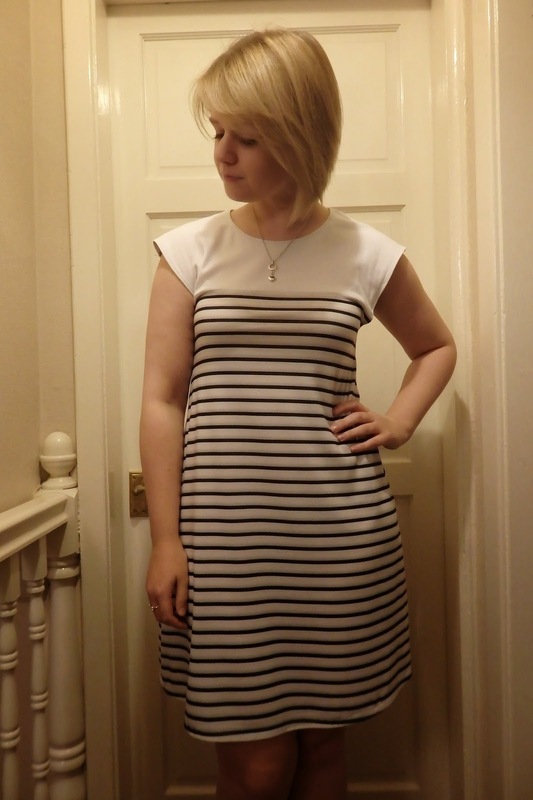 i made four things, which is still quite a few, but i did my moneta’s on monday, maritime shorts across thursday and friday, then my marianne dress today (sunday)! i blogged earlier in the week about my shorts, which are very high on my list of favourite things i’ve made. 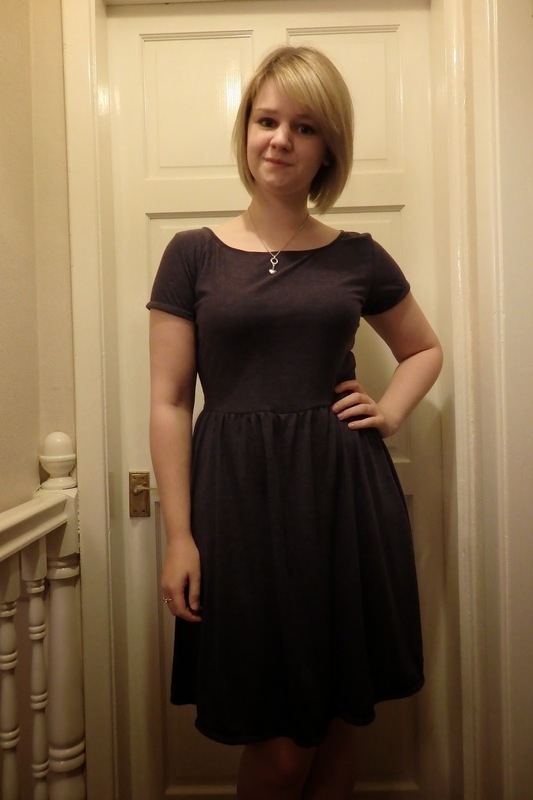 today i’m showing you two moneta dresses, and a new pattern to add to my collection, the marianne dress by christine haynes. i don’t have much to say about the monetas as i’ve made a couple before. it remains a STRONG favourite of mine, just because they are so easy to wear. they’re exactly the kind of dress i would buy RTW and (i think!) the shape suits my figure. it took quite a while to cut out because of the pattern. i don’t know whether it’s a bit long, i might take it up by an inch. i made the second one from a lovely dusky purple coloured light jersey that i bought from gold hawk road when i went back in august. i can’t remember how much it was but i’ve got enough left over to make a tshirt with. i bought the renfrew pattern a couple of weeks ago so the remainders might become one of those! the day i was cutting this out, my mom was wearing a tshirt in exactly the same fabric she had bought from a shop. we’re going to have to discuss outfits so we don’t match! 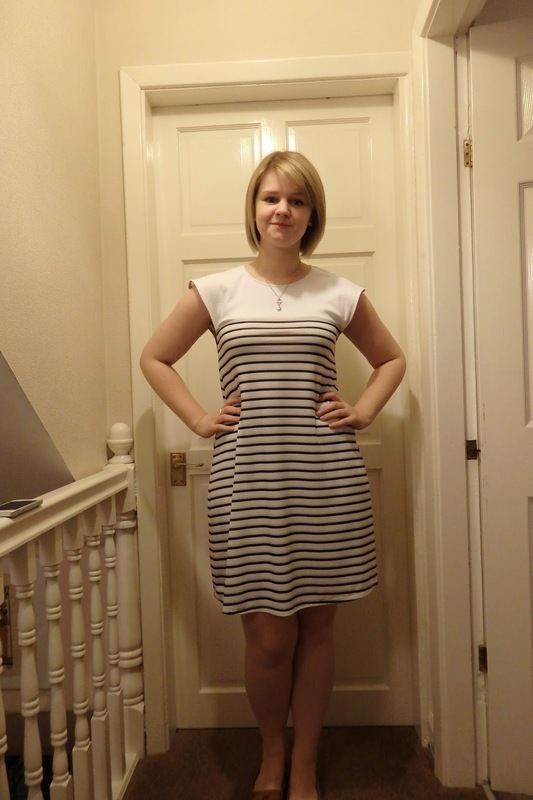 this is a strange picture, but it’s the only one i took where you can see the colour of the dress properly. i think i got a bit over confident when i was sewing this one and managed to put the skirt on inside out haha. i cut it out (i’d overlocked it and unpicking is HARD on jersey anyway!) and resewed it properly. 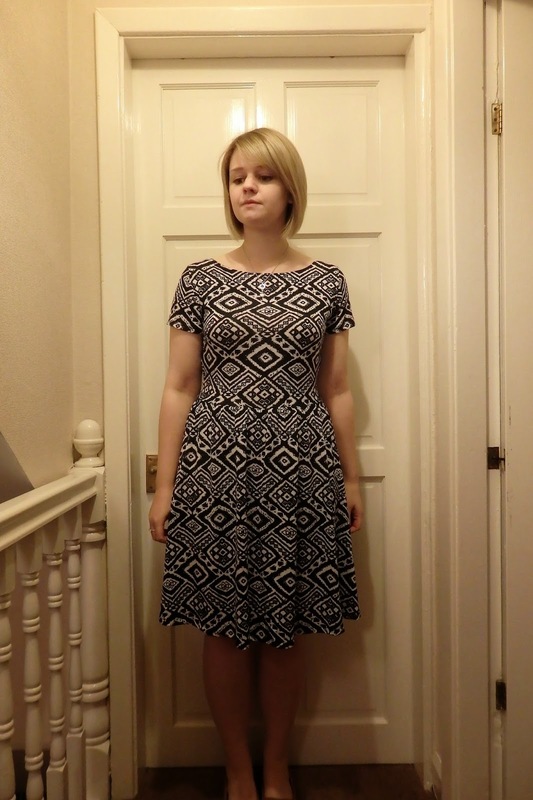 i also decided to shorten this one by about an inch, just because i fancied a change. so, onto the new pattern, marianne! i bought this a few months ago after christine did a black friday 20% off thing. 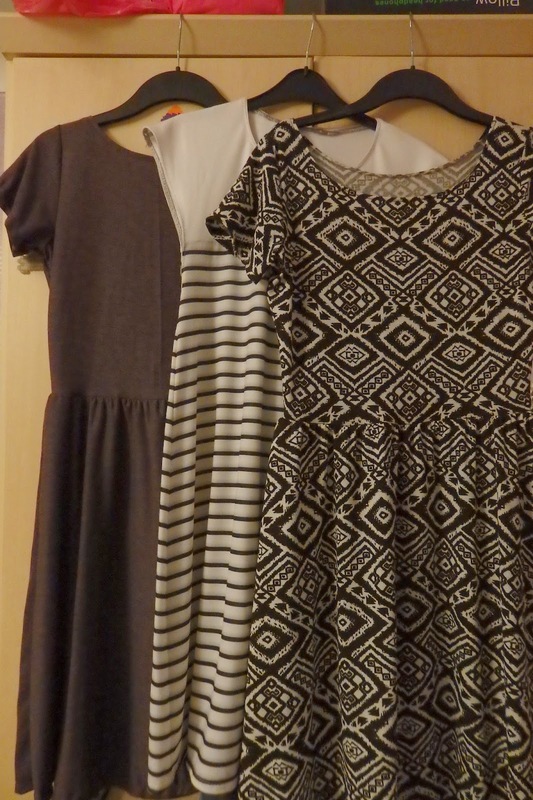 it was actually the picture of the model in view B, the 3/4 length sleeved black and white striped dress, which made me buy the pattern. i loved the look of it and could immediately see myself wearing it. this is the picture from christine’s website, for copyright and all that. i cut my fabric on a single layer. i did try to fold it but wanted to pull out a significant amount of my hair because it was SO FRUSTRATING. i cut this out about two or three weeks ago, planning to sew it up in the week but somehow it was still folded up on my table today. so instead of cutting fabric for more maritime shorts, i went with this. the instructions are really clear and i really like the diagrams. 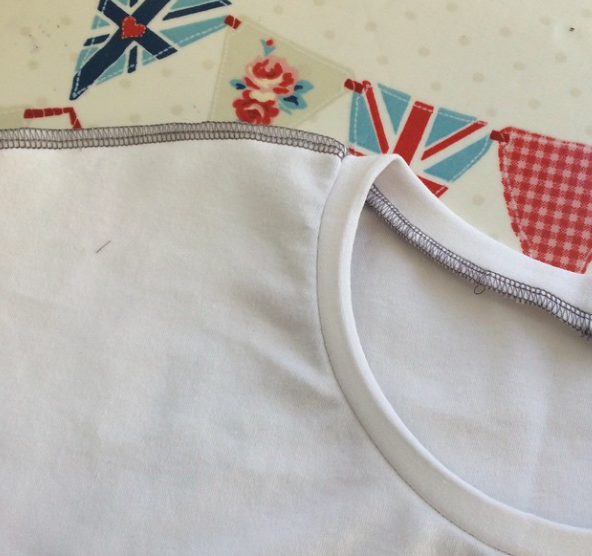 there are instructions for both overlocking/serging or sewing on a normal machine. 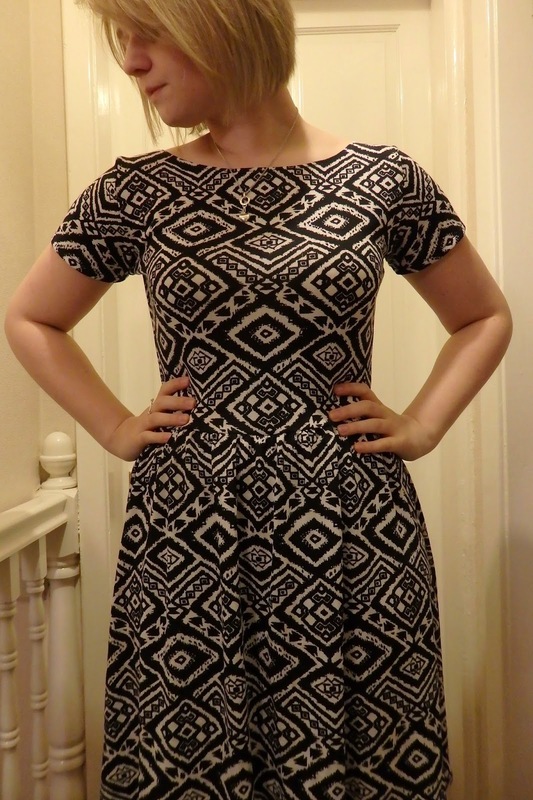 because it was view B that made me buy the pattern, that’s what i cut. a perfect neckband, just inside out! even my mom said she was sad for me! never mind. in hindsight i should have cut a new neckband, but i just reused the original one. because of this, i now have an invisible neckband! i serged the seam allowance off the first time it went on and i don’t know why i didn’t just take the 30 seconds to re-cut! however, i like the way it looks like this with the top stitching. what’s that, you don’t see any sleeves? WELL. i hated them on me. 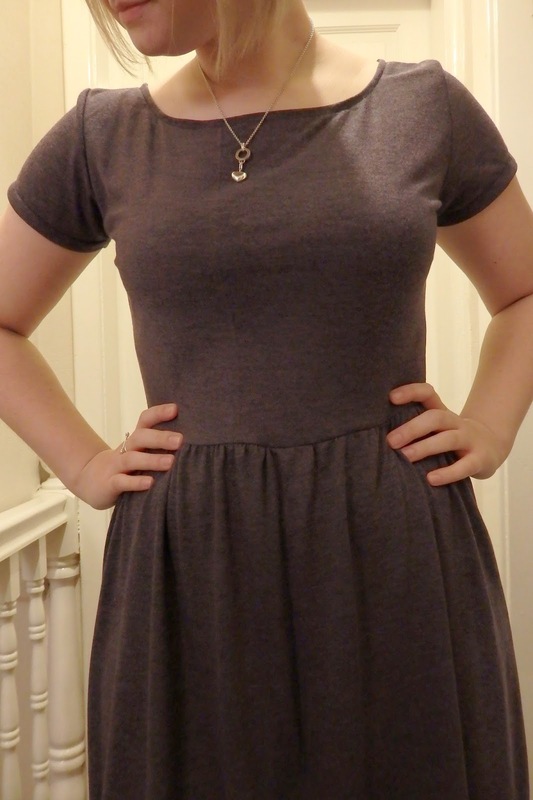 the fit under my arms was NOT good; i think i could have done with sizing up around the bust, but then i had excess fabric around the yoke, so i don’t know how i could have fixed it. i forgot to take a picture. in the end i got very frustrated, and literally just cut the sleeves off. i cut down into the bodice a bit too to give me a bit more room round there, serged around the new raw edges. then i folded them under and top stitched them down. i’ve got a kind of view A/B crossover, and i’m actually really pleased with it! i’m glad that i took the sleeves off because it’s much more comfortable now. better for my hols anyway without sleeves. 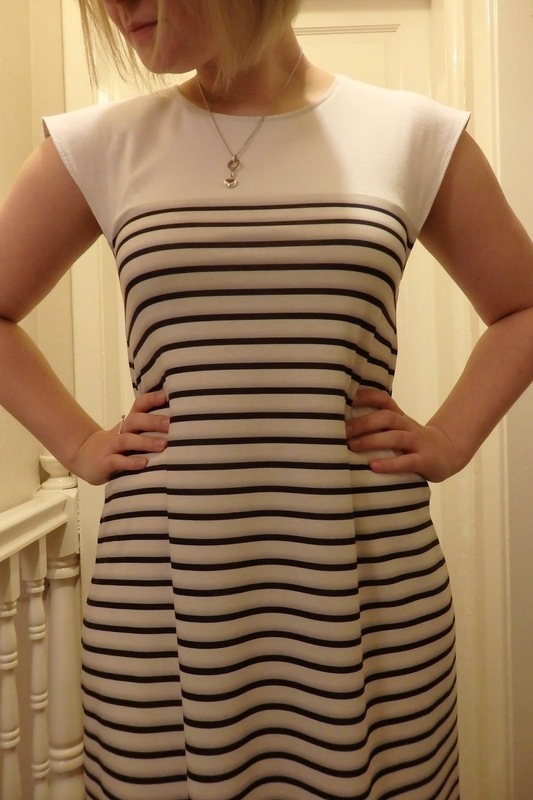 obligatory stripe matching side seam picture. ‘scuse my bra. i’ve got dark blue striped fabric and i think i’ll probably make a “real” view B, but maybe a bit later on in the year. the dress was nice and easy to construct and i fully endorse it! it’s definitely not down to the instructions/pattern that it went wrong for me, i’m just a bit rubbish sometimes! hehe.